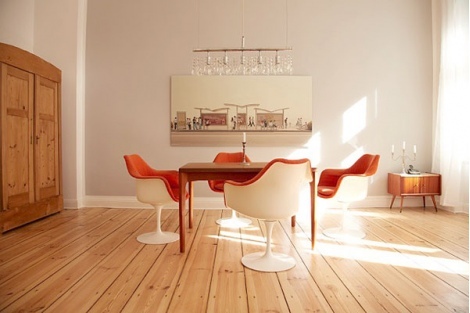 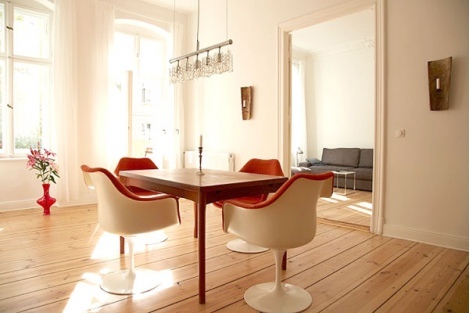 The interior of this light-flooded apartment is a delightful mix of vintage and contemporary furniture, the original 'Altbau' wooden floors give it a warm atmosphere. 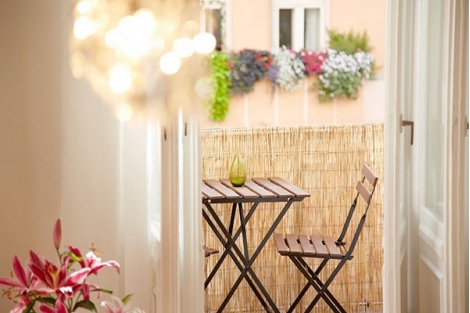 There is a big balcony, where you can have your cup of coffee in the morning. 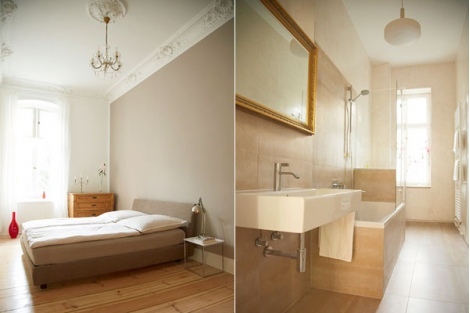 The bedroom is equipped with a cosy queen size bed, the modern kitchen with a dish washer and everything else you might need to cook nice meals. 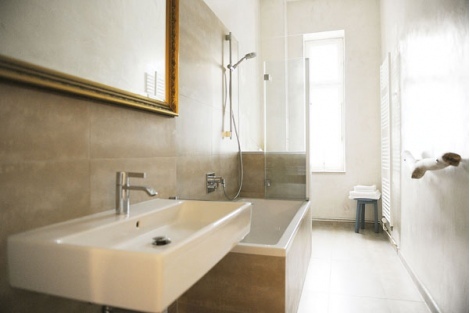 The bathroom has sandstone tiling and a walk in shower, as well as a bath tub. 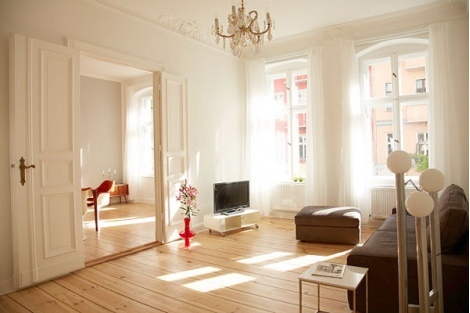 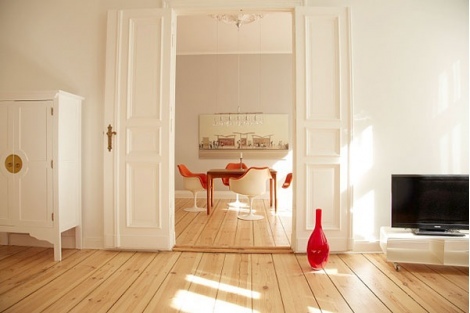 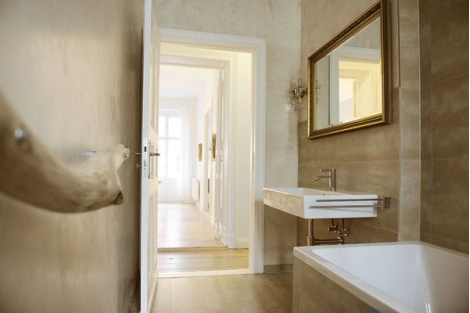 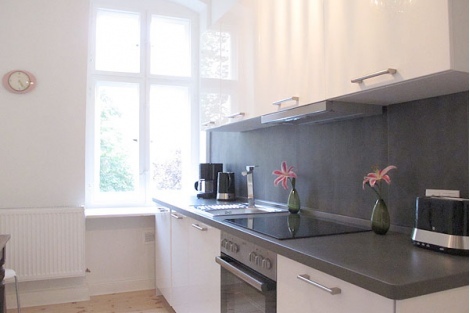 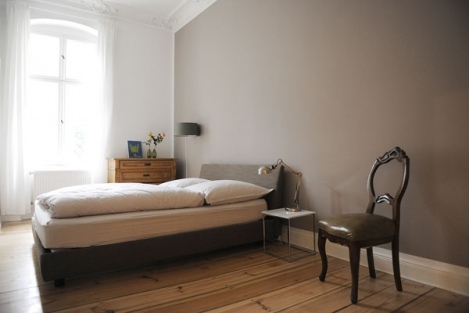 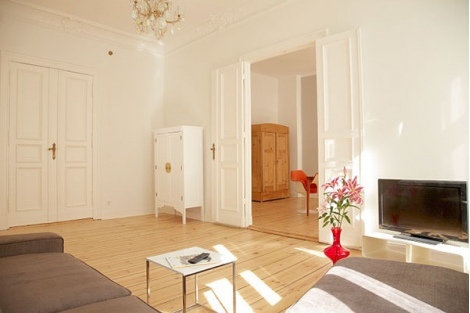 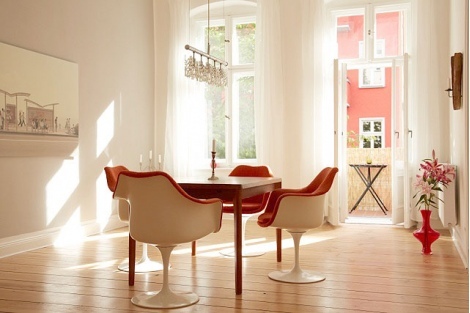 The apartment is located in the lively district of Friedrichshain, close to Boxhagener Platz, famous for great cafes, clubs and flea market on sundays. 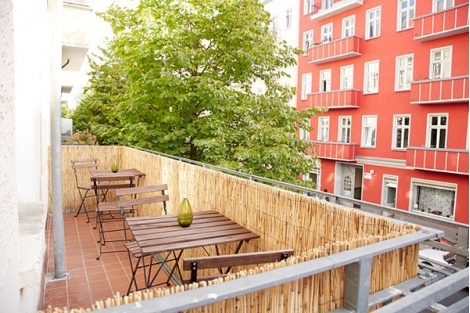 The next subway station is U5 Frankfurter Tor and only 280m away, the tube takes you from there to Alexanderplatz in 5 minutes.